Travelling light is all about shrinking the accessories you’re prepared to travel the globe carrying. Always the first thing to go for camera owners if a tripod; it’s big, it’s bulky, but unfortunately it’s exactly the accessory you need to add brilliance to your pictures. 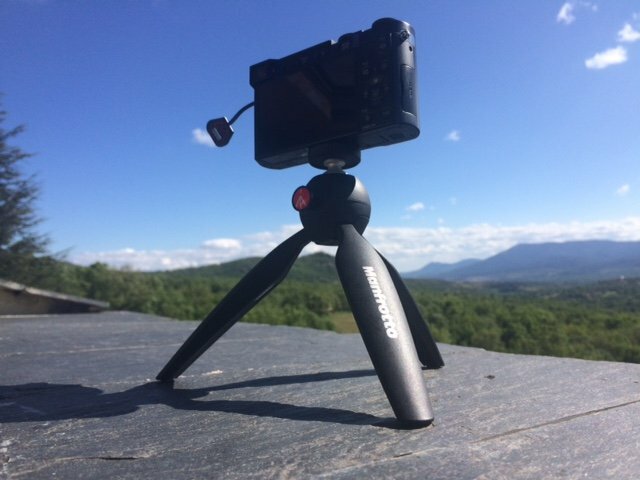 Weighing a mere 190kg, the Manfrotto PIXI Mini Tripod tries to earn its place in your carry-on by being suitable for all kinds of cameras – from a DSLR to a compact to a smartphone. For the latter you will need a smartphone clamp like the Manfrotto TwistGrip, but for the other two a standard ¼-inch thread adaptor on the PIXI does the trick. In use, the PIXI proves ultra-steady. It’s possible to adjust the legs – each wearing a rubber shoe for extra grip – and twist the camera on a hand-grip, which can be locked into position using a small button on the side. In our test that made it really useful for doing a few long-exposure images of waterfalls, and of the night sky. However, the PIXI just didn’t prove as handy as our other, more flexible (and much lighter) tripod, which lacked a little in steadiness, but was able to be used a many more positions and scenarios that the PIXI. However, there’s no denying the PIXI’s suitability for semi-professional uses; if you’re a photographer keen to travel with a small, but ultra-tough tripod, the PIXI is worth a look.